Harold Cleworth’s inspiration is right out there. His ideas never stop. With his camera as his sketchbook, he never tires of painting. An ArtfullLife seems to be a celebration of what you have done throughout all the years. That’s exactly what it is. It’s my legacy. I hope it doesn’t stop your painting activity. Oh not at all. That’s about half of what I’ve done and since we finalized the images for that book, I’ve done about another twelve paintings. So wait for book two. So you still have a lot of ideas for artwork? How do you pick the subject for a painting. Well, they seem to find me actually. I live in a very creative town called Venice in California and I see backgrounds for paintings of cars, maybe graffiti on the wall or some cars parked at night. I also attend quite a number of car shows and I have Pebble Beach each year of course which is the good taste of cars. George Barris designed the Batmobile in the 50’s and he has his ‘Low Rider’ show here in Culver city every year and that’s kind of the complete opposite. So you get the good taste of Pebble Beach and the bad taste of George Barris. Quite frankly, the people who turn out like a ’49 Mercury will customize it and do the most tasteless things to it, but they do it really well. It has a lot of sense of humour attached to it, which Pebble Beach doesn’t have and I have a lot of respect for both. You can see some examples of Mercurys in my book and some are very low to the ground. The painting I did called ‘Bless the Lowered’ is one of my favourites and every time I show that, I sell a print of it. Is the setting and background in a painting important to you Harold? Yes it is now. Initially it wasn’t and if you see some of my earlier paintings from the late 70’s or 80’s, it was just the car with a white background. 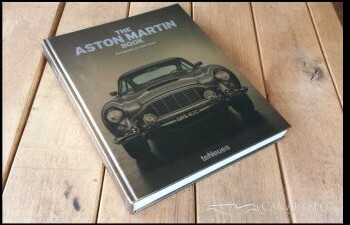 The images were more powerful graphics in nature, like the Gullwing for example which is on the front cover of my book. But later on, I started finding and putting in appropriate backgrounds. Living is Los Angeles there is some wonderful 30’s and 40’s Art Deco architecture here which make a great background for cars which reflect the same architecture as they do. Has the purpose of your art changed then through the years? I think it has yes. If you look at any car parked on the street, you’ll see an enormous amount of reflections in the car. There’s a whole story going on with the car, trees and buildings, the sky and clouds reflected and that’s what I like to show. It’s something everyone sees on a regular basis but never really notices very much and that’s what I concentrated on to get an almost photo realistic look. Then later on, I decided to put them in a setting and that’s what I am doing now. I keep on progressing and changing and the work I am doing now shows a figure. If you notice, most of my paintings don’t have people. I avoid doing them for some reason, so that’s my current goal. I was triggered in particular by your Bugatti Vehron which is quite different from your other ones. It came accross to me as more of an outburst of energy. 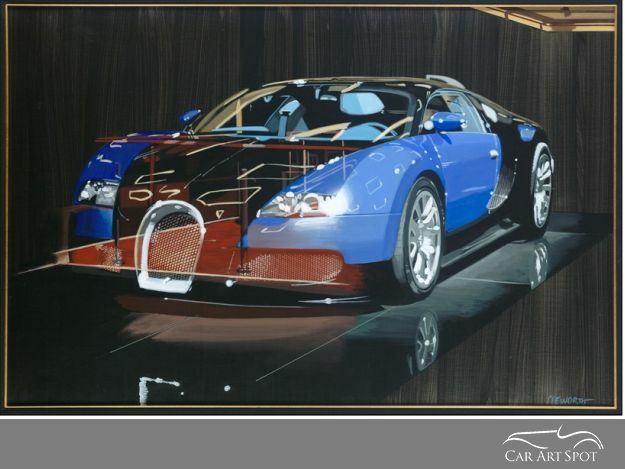 It was, and that Bugatti was actually on display at the Los Angeles Auto Show a few years ago. There was a 4 foot glass wall surrounding the car and what I did was take photos through the glass which fractured the image. A lot of reflections started to bounce back and forth and it gave a very abstract look to the image, which I really enjoy working with. So that’s what you are seeing. It was a great challenge but I’ve been working with cars for over 35 years now and am always searching for new ways to show them and that was a great example. Your painting of the Interstate Five, expresses what the majority of the people using cars for their daily commute experience. Exactly. Highway Five goes from Los Angeles to San Francisco and it is the most boring freeway. There’s no landscape there whatsoever and that was my challenge. To show something out of nothing. When I showed that painting at Pebble Beach a few years ago, people were drawn to it. It just pulled people in which really surprised me. I was able to create the intensity of the heat of the dessert I think. That is one of my most favourite paintings because of the challenge of cars saying something out of nothing. You can just see the appearance of what is called ‘the grapevine’. It’s a very long drive of several hours with nothing to see and then suddenly in the horizon, appears the grapevine which is a mountain range and is a wonderful sight because you think ‘thank God, I’m almost home’. What are the techniques which you use for your art? Well I don’t really use different techniques. In fact, my colour pallet remains the same for just about every painting. I can paint using about six different colours and that’s it. So I don’t go out of my comfort zone, colour wise. Technique wise, they are all roughly the same feeling of realism. I have gotten a little looser over the years. 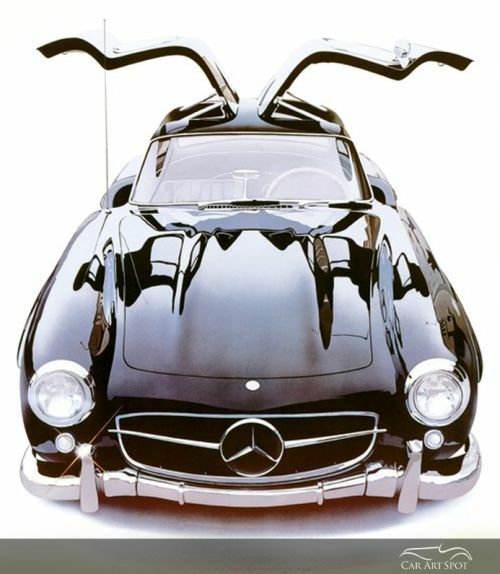 The Gullwing for example, was enormously successful and is the painting which established me. The main reason was the fact that it looked like a photograph and people would buy the poster, thinking it was a photograph. When they found out it was a painting, they couldn’t believe it. That kind of bothered me because I didn’t want to just reproduce a photo. So at that moment, I threw away all my airbrushing tools and just used brushes and blended the colours. I wanted people to see a painting and not a copy of a photograph. So I definitely developed a more loose style. Do you have one particular model type which is your favourite Harold? 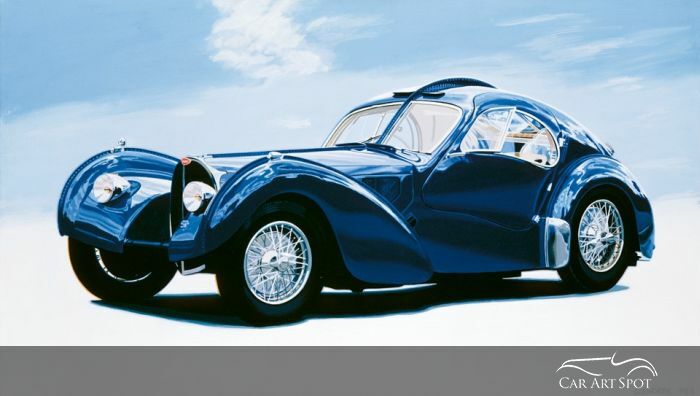 Yes, the Bugatti Atlantique without question. It’s the most beautiful car I have ever seen and I was blessed to be driven in it a number of years ago. I met the owner and he commissioned me to do the painting, so I said ‘well let’s take it somewhere to get a good background’. So he drove me across the Golden Gate Bridge in that car and it was really uncomfortable. The chairs were like deckchairs and I didn’t realize at the time that THAT car is now in a museum here in Northen California and rumour has it, the owner paid 44 million dollars for it. There are only two cars around. The opposite to that would be the ‘59 Cadillac, which was the first painting I ever did. I painted that car several times. It was the most outrageous car ever made. It was on the list of the ten ugliest cars ever made for a while and now it’s worth a lot of money of course. The 50’s American car period was my most favourite of all and I’ve done so many of them and I never tire of them because they are so expressive. You were born in the UK. Do you also paint British cars? 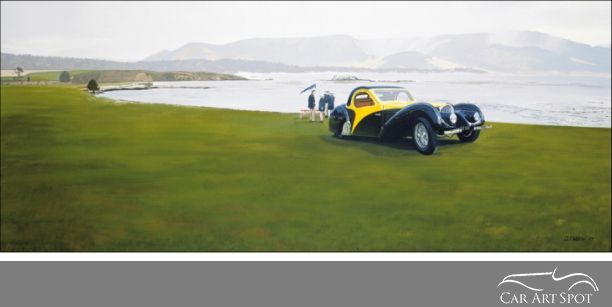 Some of British cars are also beautiful and in particular the E-type Jaguar which I’ve painted a couple of times. 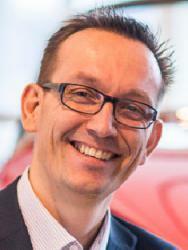 It’s a remarkable car with it’s scultural type shape but it’s the 50’s American style I have the most fun with. It finds me. By just literally walking and keeping my eyes open on a daily basis. Living in America and on the streets of Los Angeles, it’s here already. I did a painting not so long ago of a very ordinary scene in a rough neighbourhood with a 70’s Cadillac parked in front of it. The architecture was not particularly exciting but it was a moment and it captivated this particular neighbourhood. The painting sold at Pebble Beach. My inspiration is right out there. I don’t look for glamourous or necessarily beautiful landscapes. Sometimes I look for the ordinary and it’s up to me to make the ordinary extraordinary. My camera is my sketchbook. I take many pictures and combine many images to make one painting sometimes. Many artists are struggling to position themselves and find their own style. What would be your advice to them? Good luck. Just do it. When I started doing it, I couldn’t find anybody else doing it and that was part of my success. But now there are a lot of them out there. Every artist has their own way of working. Develop your own style, your own way of working and give it some interpretation but make it yours. When I look at other artists work, I get just as excited looking at their work, as they do hopefully looking at mine. Just develop your own way of working and don’t look at other peoples. 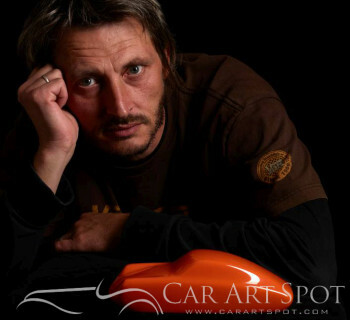 Within the art scene, automotive art is still not yet seen as fine art. Do you face that same dilema? I did for a long time but not any more. I am happy to say that my work is accepted as fine art. But I wasn’t looking for that. I just did what I wanted to do and if it was perceived as an illustration, that was fine. The best review I can get is if someone buys it. It doesn’t have to be hanging in museums and critically reviewed by people. Which art qualifies as fine art in your opinion Harold? Well, who is saying this? It’s just an opinion. It’s a difficult question and I don’t concern myself with that. I just love my work and am always painting. I never tire of it. You can see more of Harolds paintings by visiting his website. 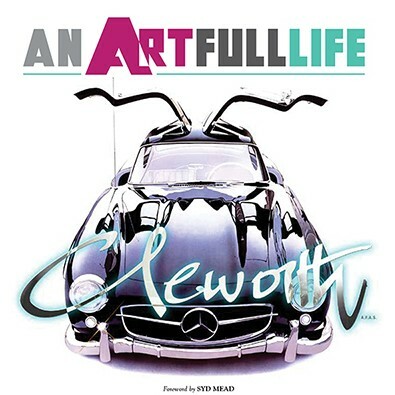 You can purchase Harolds book 'An ArtfullLife' at: http://designstudiopress.com/product/an-artfulllife/ (ISBN: 978-1-62465-016-1).